Casee is a York based singer songwriter whose music has been likened to Kate Bush, Tori Amos and Kate Rusby. Her influences are wide ranging and include 80's pop, synth pop and electronica. She has released two albums to date - 'Beggars And Blues' (2010) and 'Riptides' (2013). 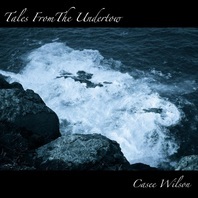 A new 6 track EP 'Tales From The Undertow' is released today, 25th July 2014. How and when did you first get interested in music? I’ve been interested in music for as long as I can remember, I saved up my pocket money at the tender age of five to buy Billy Joel’s “The Stranger”. My parents were always listening to The Who, Pink Floyd, Blondie, Kate Bush, The Rolling Stones… my upbringing was soaked in music. What was the first song you remember hearing? Sir Duke by Stevie Wonder – I adored it. What was the main thing that inspired you to want to become a musician? I’m not really sure where/when it started. always wanted to play and sing, although I went through a brief glitch during and after university where I tried to get a “real” job. By my late 20’s/early 30’s I’d realised that I couldn’t ignore my need to write any more, so I bought a Korg keyboard, relearned to play and started writing and recording at home. I always wanted to play piano, but we couldn’t afford one, so the first instrument I learned was voice. I started singing from a very early age. First live performance - solo or as part of band? When I was in primary school, at about aged 10, I wrote something that our teacher taught to my recorder group..! I can’t remember anything about it, except that the word “forsaken” was in it somewhere! Oooh, that’s a tricky one. Different songs come about in different ways. It usually starts with either a fragment of music or a lyric and I build it up from there. I always have “record” enabled, so I can sit and noodle at the piano and see what comes up. Often, I’ll get an entire piece of music that way relatively quickly and then the lyrics follow, although sometimes it takes much, much longer for the right words to come. I’m massively inspired by the forces of nature – storms, the sea – and also by the complexities of relationships. I also love stories and mythology so you’ll see that reflected in my music: Clockwork Ballerina, from “Tales From the Undertow” is a good example of that. Your debut album ‘Beggars And Blues’ was released in 2010. The follow up and current album ‘Riptides’ was released some 3 years later in 2013. Did you find the writing and recording process easier for the second album? What do you feel are the main differences between the albums? 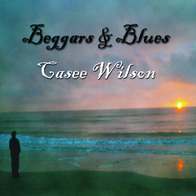 I had no idea what I was doing when I wrote and recorded Beggars and Blues, none at all! I was completely self taught at recording and mixing at that time, and it's amazing how different it sounds to more recent releases. Also, Beggars was much less cohesive as an album. It was more of a collection of songs, without any discernible theme. 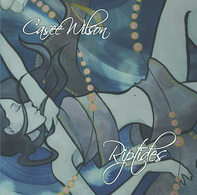 Riptides is much more consistent in style and quality, and I had much more of a clue when I recorded and mixed it. The difference is really noticeable. You have recorded a new EP ‘Tales From The Undertow’. What is the story, background and inspiration for these new songs? Five out of six of the tracks on Tales From The Undertow were written for February Album Writing Month – this is a yearly challenge to write 14 songs in 28 days. It's a lot of fun. I was having a very inspired time, I think my muse was back from holidaying in Tenerife or whatever she does when I have writer's block! Anyway, I was really knocking out tracks, and obviously when you do that, some of the tracks speak to you more than others. The ones that spoke to me made it onto the EP. What do you enjoy most about playing your songs live at gigs? Having an audience! Singing in the studio is very isolated, there's no-one there to bounce off of, but having an audience, no matter what size, gives me a focus. It's much more free too, more relaxed. I mean, I get stage fright, but it soon fades. We joke in the industry about red light fever in the studio, but it's there, it's real, I've suffered from it. Funniest thing that has happened at a gig? Increasingly people are talking at gigs whilst artists are performing. This is very irritating to me as a regular gig goer but must be so frustrating for the artists. Have you had any bad experience(s) with this problem? How do you deal with it? Yes, I think it's happened to all of us. I've seen other artists get quite angry – aggressive in fact, and it makes them look quite bad, although I totally understand the sentiment. I try to remember that this is a night out for people, and that whether or not they are actively listening, I'm still a part of what is making their night good (at least I hope I am!). One of the noisiest gigs I ever played at was also the one where I sold the most CDs! I do feel for other members of the audience though. I have a very diverse range of musical tastes. I've been strongly influenced by Tori Amos and Kate Bush, but also by Billie Holiday and Ella Fitzgerald, and I also listen to a lot of eighties music and electronica. I like a bit of goth, rock and EBM too so it's difficult to pinpoint favourites! As a musician how important is it to have an online presence? How do you use social media tools like Facebook and Twitter? I think now it's vital. I dislike Facebook intensely, but it's one of the key ways I have of communicating news to fans and friends. I'm slowly trying to transition to letting my website do the bulk of that, and I think that's where it's going for more and more people as Facebook becomes more unusable. Twitter is nicer, but it's an acquired skill, especially for someone as verbose as me to get posts down to 144 characters! I think this ties in to your next question really. The music industry is much less exclusive than it used to be, and more and more people are getting access to training and skills, or just the equipment to teach themselves on, so the music scene is booming. York has always had a strong acoustic scene with venues like the Black Swan supporting it, but it really does seem to have exploded in the past few years and from what friends around the country are saying, it's not just York. The internet has changed the landscape of the music industry and made it easier for musicians to record and make their music available. Is this a positive thing? Absolutely. Thinking back a couple of decades, the route forward for musicians always involved going through a label. Now the marketplace is much more open for independent musicians. Add in the development of relatively inexpensive home studio technology and you have a recipe for many more “home grown” artists to have a chance to make their mark. I don't think they're very fair for the artists, especially not the up and coming acts. I'd like to see more specialist, unsigned sites really giving artists good exposure, rather than these huge, faceless places paying pittance per stream. That said, a lot of my friends are getting a lot of their music from Spotify, so it's clearly doing something right. It's just not for me. Any strong views about giving music away free? I think it's a good thing to do. You wouldn't buy a painting before you saw it, how can you know if an artist makes the kind of music you'll love without trying a song or two? I grew up in an era of mixtapes – you know, actual cassettes, and I bought more music as a result of those than I ever bought before or since. I miss vinyl. I'd bring it back in a heartbeat. Being nominated in two categories this year for the Yorkshire Gig Guide Awards was pretty awesome (Outstanding songwriting and outstanding artist). I was up there with the Kaiser Chiefs! I've had a song placed in an independent film too, that was pretty cool – it went on the Vancouver Film Festival, so I like to think I have a small pocket of Canadian fans because of that! Plans and ambitions for 2014 and beyond? Write more. Perform more. I'm currently working on an Electronica EP called Quantum Ghostlands which is taking a long time because I'm too much of a perfectionist. I've been dipping my toes into synchronisation projects (music for film and TV) and I'm developing my portfolio for that. So yes. More of the same plus more new fun stuff! I'm excited about the future, and about seeing where I end up.